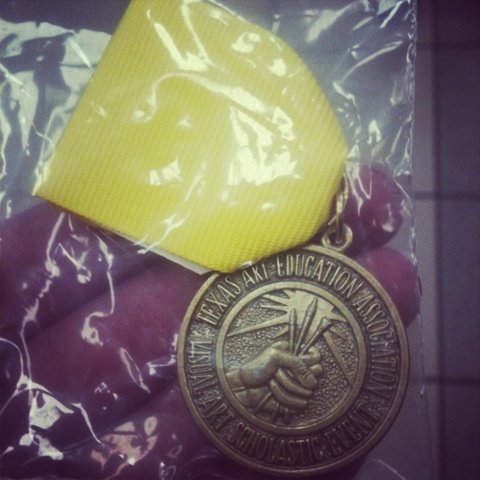 Last weekend I went to this art competition called VASE (visual art scholastic event) I made it to area! Which is really great! Unfortunately I didn't make it on to state(the final round) but that's ok there is always next year!plus I honestly didn't like my piece I took so I'm glad it made it as far as it did! :) plus I got a cool medal for my letterman jacket!